It’s Spring and time for our 7th Annual ﻿﻿Spruce Up the Center Day! April 25, 9am-12pm. 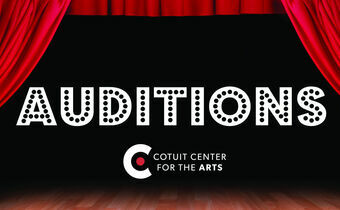 Audition call for staged reading of "Survivor to Thriver: a Human Trafficking Oral History Project" on April 24. Join us for the award-winning show "Sing Sistah Sing!" —conceived and written by internationally renowned mezzo-soprano Andrea Baker. Home, and the people who make it, have captivated Lori McKenna for years. Over the last three decades, as she became a wife and mother of five, she has also emerged as one of the most respected, prolific singer-songwriters in popular music.